Holiday camping meals don’t necessarily have to come out of a can or a box. There are plenty of fun and interesting ways to serve up delicious camping food for you and your partner or family. And by delicious, we don’t mean a bunch of pastries. We’ve rounded up camping recipes that are both easy and healthy, many of which are either vegetarian (or can easily be converted to be vegetarian) or even vegan. Breakfast is the most important meal of the day (and you need plenty of fuel to take in all the awesome Byron Bay sights), so plan your shopping list and get ready to serve up some delicious holiday food. This quick and healthy breakfast is something easy to make ahead of time and bring along in the cooler. These jars will give you a good way to kick off your holiday. In a mason jar, combine all ingredients. Add additional milk if it seems too thick. Close jar tightly, shake vigorously, and place in fridge to set overnight. Stir together the flour and baking powder. Beat together the egg replacer, milk, salt and brown sugar in a bowl. Stir all together, add blueberries, and stir to incorporate. Preheat a heavy-bottomed skillet over medium heat, and use vegan butter or cooking spray. Pour approximately 1/4 cup of the batter into the pan for each pancake. Cook until bubbly, about 1 1/2 minutes. Turn, and continue cooking until golden brown. Heat up a medium size fry pan with butter or oil. Add bacon and cook until it begins to crisps (5-6 minutes). Add the mushrooms and stir for a further 5 minutes. Drain the excess liquid from the pan and make sure the mushroom and bacon is evenly spread. Pour the eggs carefully so that they fill in the gaps between the ingredients. Add the tomatoes and spinach. Top with cheese. Cut slices of the Big Breakfast Omelette straight from the pan and enjoy. A simple camping breakfast that carries enough protein to make it healthy and filling! The eggs are fried as hard eggs, so be sure to break the yolks when you fry them. Melt the cheese by placing it on the eggs as soon as you turn them. If you are using a BBQ grill, just lay the muffins on the grill, and turn once, to toast both sides – then butter the inside of each half. You can also toast the muffins in a skillet – just make sure it is already hot, and butter the muffins before you toast them. This dairy-free and vegan breakfast is another great option for starting your morning while on your Byron Bay holiday. Pour the water into a pot and stir in the salt. Throw in all the oats and bring the water to a boil, stirring occasionally. Once boiling, bring the temperate down to low and simmer until the oats absorb the water. Throw all the other ingredients – except the banana and raisins, into the bottom of a bowl, then pour on your oatmeal and mix everything together. Top with banana slices, raisins, and hemp seeds. 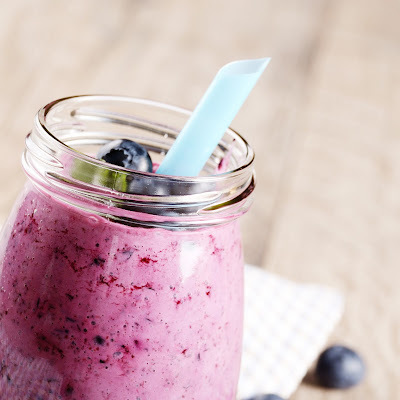 Smoothies are an excellent way to have a quick, healthy breakfast quickly before you head out on a fun, exciting day of exploring the Byron Bay area. Blend, and pour into a freezer safe jar – only up to 3/4 full, as you need to leave room for freezing expansion. Then freeze. Enjoy some healthy camping breakfasts while staying at Broken Head! 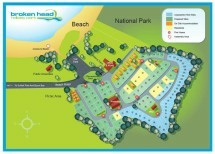 You can test out these camping meals and more while you holiday at Broken Head Holiday Park. Use these easy camping recipes to give you a meal plan for your holiday — figure out what to buy ahead of time, what you can make at home to save time at the campsite and what you can bring along to make a healthy and delicious breakfast when you get here. We look forward to seeing you here!